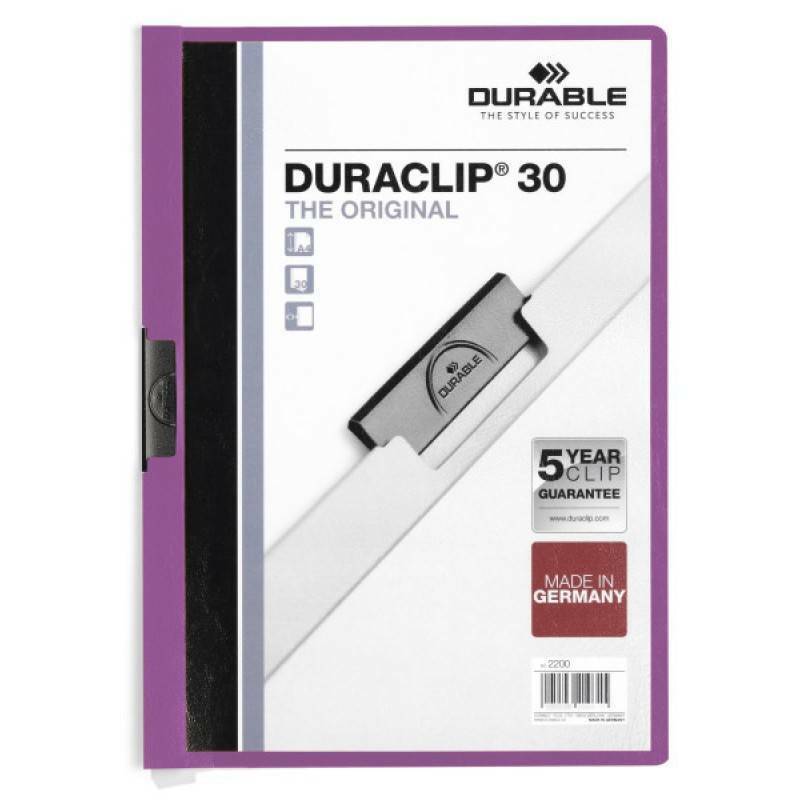 The original DURACLIP® file made of PVC plastic with a special sprung steel clip. 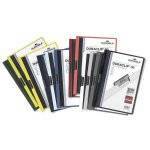 Ideal for presentations, filing, quotations, conference / seminar notes and reports. 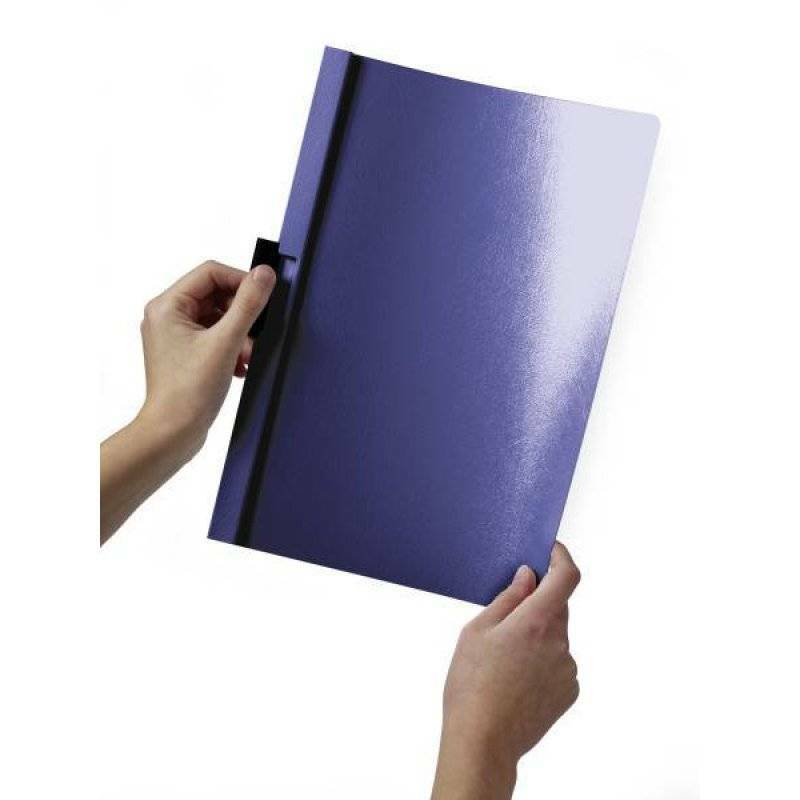 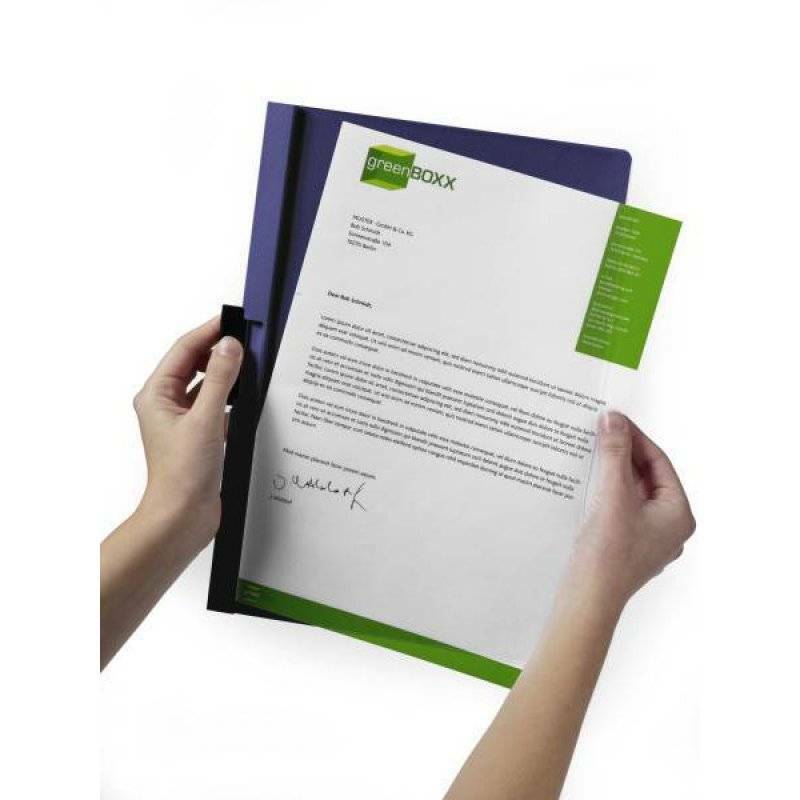 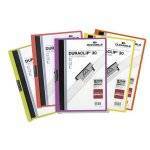 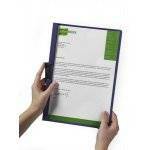 The DURACLIP® 30 folder has a capacity of 30 A4 sheets, a transparent front cover and coloured back and spine. A full range of additional accessorie are available. 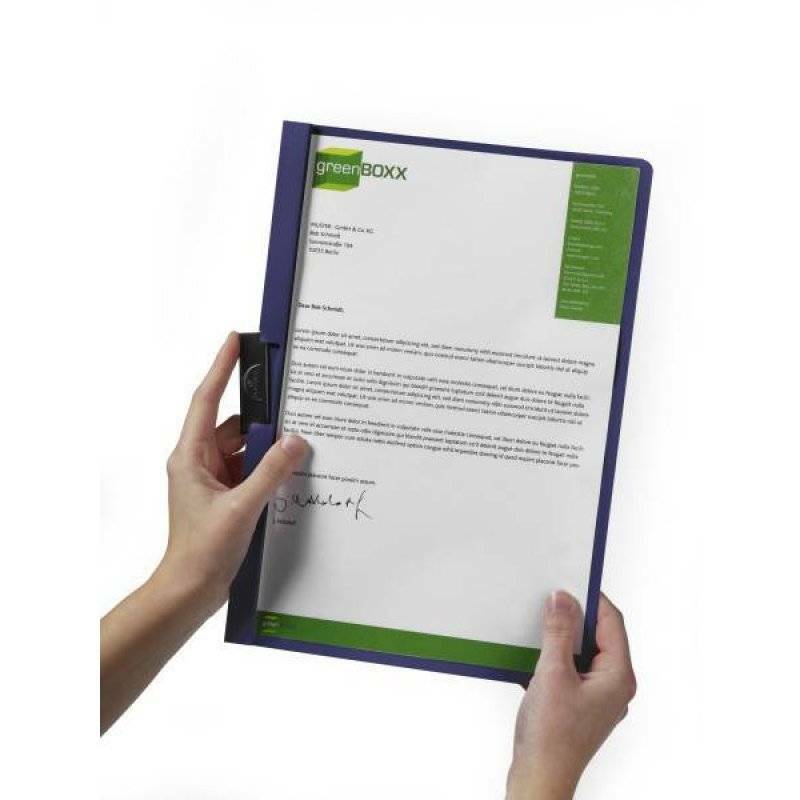 Cover imprints, such as company logos, transform DURACLIP® into a unique advertising facility. 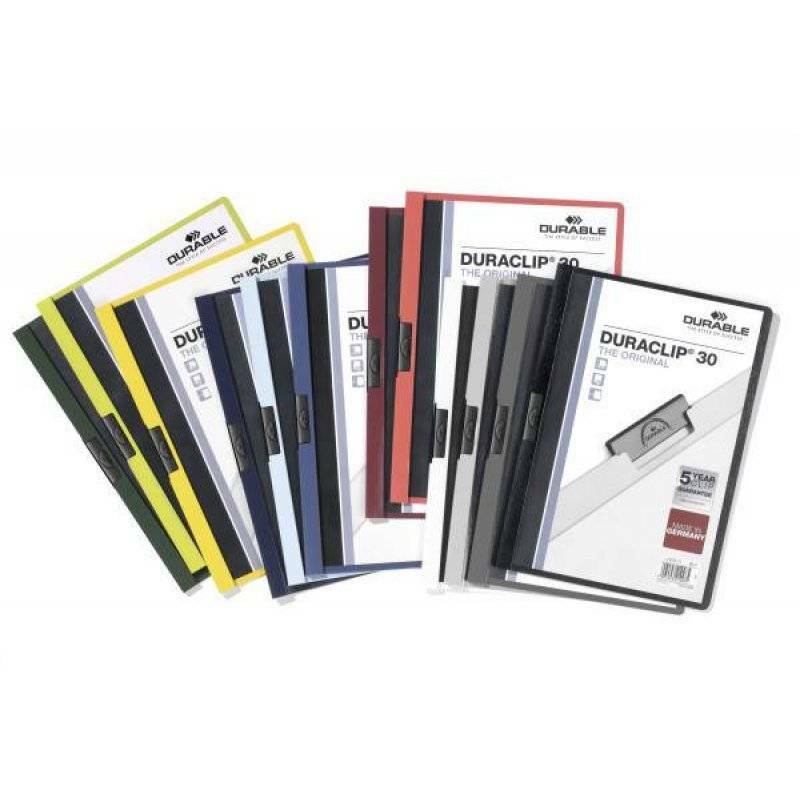 DURACLIP® can also be supplied in special colours. 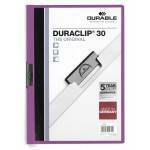 The DURACLIP® system: Pull out the clip, insert the documents and push back the clip - simple! 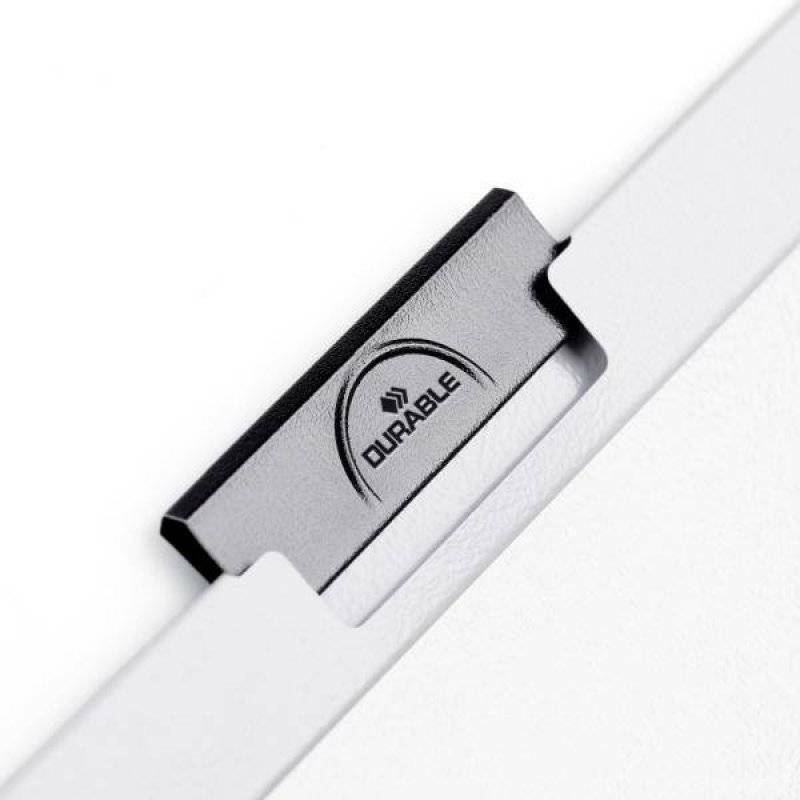 The unique sprung steel clip adjusts itself to the number of sheets - time after time.